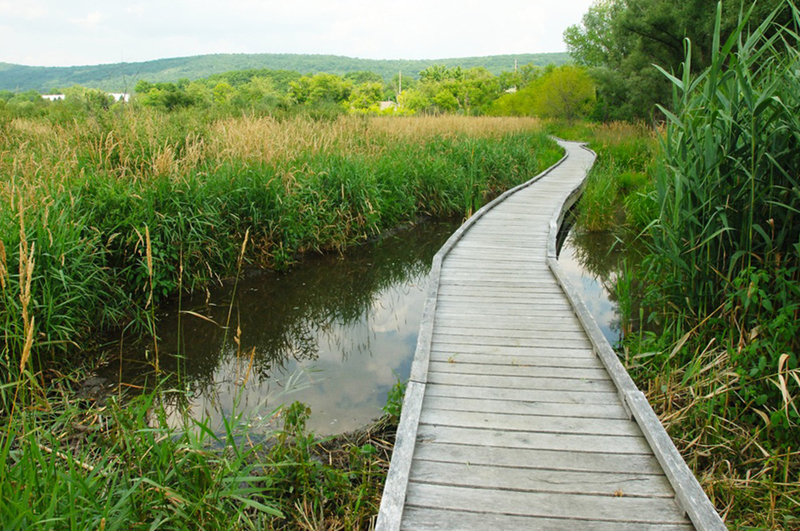 Native Landscapes headquarters and Garden Center is located right on the beautiful Appalachian Trail right where the Trail crosses New York State Route 22. Rt. 22 runs north and south in “The Oblong”, a historic strip of land two miles wide and 51 miles long that, way back in 1731 became the border between New York and Connecticut and, essentially, the southern demarcation between New England Yankees and the rest of the early colonies. The Appalachian National Scenic Trail (“A.T.”) is a national treasure in the form of a 250,000-acre greenway extending over 2,100 miles from Maine to Georgia. The members of 30 clubs under the auspices of the Appalachian Trail Conservancy and the National Park Service, work to ensure that future generations will be able to enjoy the clean air and water, scenic vistas, wildlife and the opportunities for simple recreation, family fun and renewal along the entire of trail.